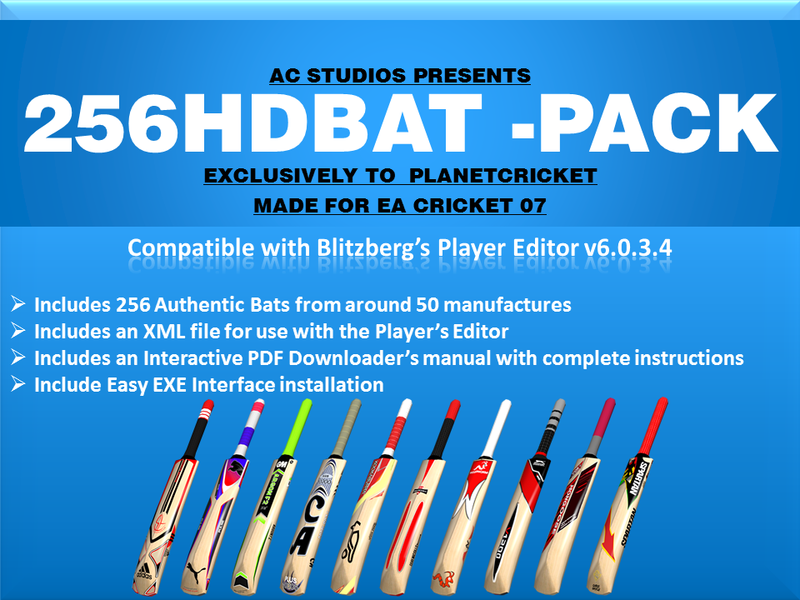 The most famous AC Studio's 256 HD Batpack for EA Sports Cricket 2007 Download here, 100% working links, AC Studio's 256 HD Batpack you would love to play in Cricket 07 Game. The Batpack is made by AC of A2 Studios. This Bat pack is sheer brilliance. The quality can be felt while playing them in game. So what are you waiting for? Just hit the download Button below for AC Studio's 256 HD Batpack!